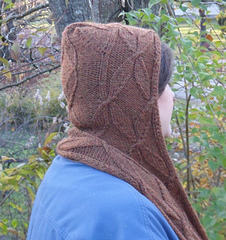 While working on the technical editing for the Rime’s the Reason jacket (see Knitty, Winter 2012) I decided to change the construction of the hood to make it a bit easier to knit. I had to test-knit the new directions but really did not want to make another whole jacket. 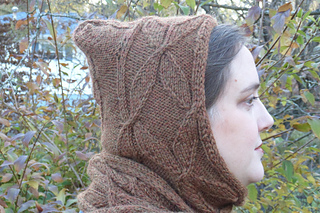 So, to not waste all that knitting I designed a hooded scarf instead. 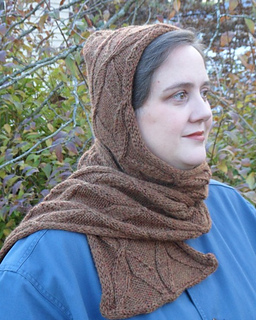 The Blustery Day Hooded Scarf begins with a provisional cast on at the ends of the scarf and works to the neck. 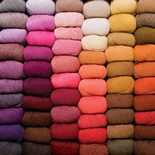 The scarf then divides into two portions with half becoming the back of the neck. 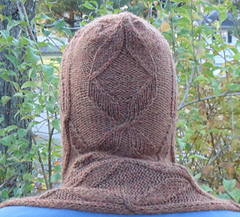 Stitches are then picked up along the neck edge and the hood is worked as for the jacket. Techniques used: provisional cast on, cables, I-cord bind off, and grafting for which a cheat sheet is provided.